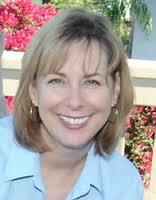 Synopsis (from Amazon): A reissue of Pam Munoz Ryan's bestselling backlist with a distinctive new author treatment. One (or more) Sentence Summary: I had to read Esperanza Rising for school, but I had purchased the book months before without knowing it would be assigned reading. 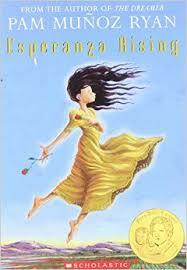 I really enjoyed Esperanza Rising and was so glad my class read it and we were able to discuss it in great detail. Esperanza had a beautiful life in Mexico until her father died. 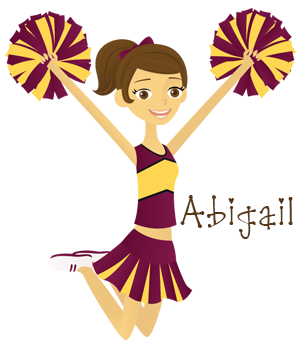 As she escapes to California she is faced with the reality of how hard life can be and she "rises" to every challenge. She truly loves her family and will do anything to help them and keep them safe. Favorite Character(s): Esperanza, since she is so brave and strong.